Vaisheshika or Vaiśeṣika (Sanskrit: वैशेषिक) is one of the six orthodox schools of Hinduism (Vedic systems) from ancient India. In its early stages, the Vaiśeṣika was an independent philosophy with its own metaphysics, epistemology, logic, ethics, and soteriology. Over time, the Vaiśeṣika system became similar in its philosophical procedures, ethical conclusions and soteriology to the Nyāya school of Hinduism, but retained its difference in epistemology and metaphysics. The epistemology of Vaiśeṣika school of Hinduism, like Buddhism, accepted only two reliable means to knowledge: perception and inference. Vaiśeṣika school and Buddhism both consider their respective scriptures as indisputable and valid means to knowledge, the difference being that the scriptures held to be a valid and reliable source by Vaiśeṣikas were the Vedas. Vaisheshika school is known for its insights in naturalism, and it is a form of atomism in natural philosophy. It postulated that all objects in the physical universe are reducible to paramāṇu (atoms), and one's experiences are derived from the interplay of substance (a function of atoms, their number and their spatial arrangements), quality, activity, commonness, particularity and inherence. According to Vaiśeṣika school, knowledge and liberation were achievable by complete understanding of the world of experience. Vaiśeṣika darshana was founded by Kaṇāda Kashyapa around the 2nd century BC. Although the Vaisheshika system developed independently from the Nyaya school of Hinduism, the two became similar and are often studied together. In its classical form, however, the Vaishesika school differed from the Nyaya in one crucial respect: where Nyaya accepted four sources of valid knowledge, the Vaishesika accepted only two. The epistemology of Vaiśeṣika school of Hinduism accepted only two reliable means to knowledge - perception and inference. Vaisheshika espouses a form of atomism, that the reality is composed of four substances (earth, water, air, fire). Each of these four are of two types, explains Ganeri, atomic (paramāṇu) and composite. 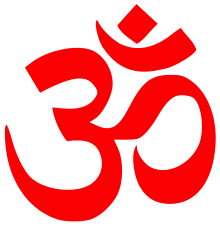 An atom is that which is indestructible (anitya), indivisible, and has a special kind of dimension, called “small” (aṇu). A composite is that which is divisible into atoms. Whatever human beings perceive is composite, and even the smallest perceptible thing, namely, a fleck of dust, has parts, which are therefore invisible. The Vaiśeṣikas visualized the smallest composite thing as a “triad” (tryaṇuka) with three parts, each part with a “dyad” (dyaṇuka). Vaiśeṣikas believed that a dyad has two parts, each of which is an atom. Size, form, truths and everything that human beings experience as a whole is a function of atoms, their number and their spatial arrangements. Vaisheshika postulated that what one experiences is derived from dravya (substance: a function of atoms, their number and their spatial arrangements), guna (quality), karma (activity), samanya (commonness), vishesha (particularity) and samavaya (inherence, inseparable connectedness of everything). Hinduism identifies six Pramāṇas as epistemically reliable means to accurate knowledge and to truths: Pratyakṣa (perception), Anumāna (inference), Upamāna (comparison and analogy), Arthāpatti (postulation, derivation from circumstances), Anupalabdi (non-perception, negative/cognitive proof) and Śabda (word, testimony of past or present reliable experts). Of these Vaiśeṣika epistemology considered only pratyakṣa (perception) and anumāna (inference) as reliable means of valid knowledge. Nyaya school, related to Vaiśeṣika, accepts four out of these six. Pratyakṣa (प्रत्यक्ष) means perception. It is of two types: external and internal. External perception is described as that arising from the interaction of five senses and worldly objects, while internal perception is described by this school as that of inner sense, the mind. The ancient and medieval texts of Hinduism identify four requirements for correct perception: Indriyarthasannikarsa (direct experience by one's sensory organ(s) with the object, whatever is being studied), Avyapadesya (non-verbal; correct perception is not through hearsay, according to ancient Indian scholars, where one's sensory organ relies on accepting or rejecting someone else's perception), Avyabhicara (does not wander; correct perception does not change, nor is it the result of deception because one's sensory organ or means of observation is drifting, defective, suspect) and Vyavasayatmaka (definite; correct perception excludes judgments of doubt, either because of one's failure to observe all the details, or because one is mixing inference with observation and observing what one wants to observe, or not observing what one does not want to observe). Some ancient scholars proposed "unusual perception" as pramāṇa and called it internal perception, a proposal contested by other Indian scholars. The internal perception concepts included pratibha (intuition), samanyalaksanapratyaksa (a form of induction from perceived specifics to a universal), and jnanalaksanapratyaksa (a form of perception of prior processes and previous states of a 'topic of study' by observing its current state). Further, the texts considered and refined rules of accepting uncertain knowledge from Pratyakṣa-pranama, so as to contrast nirnaya (definite judgment, conclusion) from anadhyavasaya (indefinite judgment). The syllogism of the Vaiśeṣika school was similar to that of the Nyāya school of Hinduism, but the names given by Praśastapāda to the 5 members of syllogism are different. The earliest systematic exposition of the Vaisheshika is found in the Vaiśeṣika Sūtra of Kaṇāda (or Kaṇabhaksha). This treatise is divided into ten books. The two commentaries on the Vaiśeṣika Sūtra, Rāvaṇabhāṣya and Bhāradvājavṛtti are no more extant. Praśastapāda’s Padārthadharmasaṁgraha (c. 4th century) is the next important work of this school. Though commonly known as bhāṣya of Vaiśeṣika Sūtra, this treatise is basically an independent work on the subject. The next Vaisheshika treatise, Candra’s Daśapadārthaśāstra (648) based on Praśastapāda’s treatise is available only in Chinese translation. The earliest commentary available on Praśastapāda’s treatise is Vyomaśiva’s Vyomavatī (8th century). The other three commentaries are Śridhara’s Nyāyakandalī (991), Udayana’s Kiranāvali (10th century) and Śrivatsa’s Līlāvatī (11th century). Śivāditya’s Saptapadārthī which also belongs to the same period, presents the Nyāya and the Vaiśeṣika principles as a part of one whole. Śaṁkara Miśra’s Upaskāra on Vaiśeṣika Sūtra is also an important work. According to the Vaisheshika school, all things that exist, that can be cognized and named are padārthas (literal meaning: the meaning of a word), the objects of experience. All objects of experience can be classified into six categories, dravya (substance), guṇa (quality), karma (activity), sāmānya (generality), viśeṣa (particularity) and samavāya (inherence). Later Vaiśeṣikas (Śrīdhara and Udayana and Śivāditya) added one more category abhava (non-existence). The first three categories are defined as artha (which can perceived) and they have real objective existence. The last three categories are defined as budhyapekṣam (product of intellectual discrimination) and they are logical categories. 1.Dravya (substance): The substances are conceived as 9 in number. They are, pṛthvī (earth), ap (water), tejas (fire), vāyu (air), ākaśa (ether), kāla (time), dik (space), ātman (self or soul) and manas (mind). The first five are called bhūtas, the substances having some specific qualities so that they could be perceived by one or the other external senses. 2.Guṇa (quality): The Vaiśeṣika Sūtra mentions 17 guṇas (qualities), to which Praśastapāda added another 7. While a substance is capable of existing independently by itself, a guṇa(quality) cannot exist so. The original 17 guṇas (qualities) are, rūpa (colour), rasa (taste), gandha (smell), sparśa (touch), saṁkhyā (number), parimāṇa (size/dimension/quantity), pṛthaktva (individuality), saṁyoga (conjunction/accompaniments), vibhāga (disjunction), paratva (priority), aparatva (posteriority), buddhi (knowledge), sukha (pleasure), duḥkha (pain), icchā (desire), dveṣa (aversion) and prayatna (effort). To these Praśastapāda added gurutva (heaviness), dravatva (fluidity), sneha (viscosity), dharma (merit), adharma (demerit), śabda (sound) and saṁskāra (faculty). According to the Vaiśeṣika school, the trasareṇu are the smallest mahat (perceivable) particles and defined as tryaṇukas (triads). These are made of three parts, each of which are defined as dvyaṇuka (dyad). The dvyaṇukas are conceived as made of two parts, each of which are defined as paramāṇu (atom). The paramāṇus (atoms) are indivisible and eternal, they can neither be created nor destroyed. Each paramāṇu (atom) possesses its own distinct viśeṣa (individuality). Chattopadhyaya, D. (1986), Indian Philosophy: A Popular Introduction, People’s Publishing House, New Delhi, ISBN 81-7007-023-6 . Dasgupta, Surendranath (1975), A History of Indian Philosophy, Vol. I, Motilal Banarsidass, Delhi, ISBN 978-81-208-0412-8 . Radhakrishnan, S. (2006), Indian Philosophy, Vol. II, Oxford University Press, New Delhi, ISBN 0-19-563820-4 .